The R Else If Statement is an extension to If-Else, and it is very useful when we have to check several conditions. We can also use the Nested If Else statement to achieve the same but as the number of conditions increase, code complexity will also increase. In these situations, statements under the Expression 1 will be executed because R ELSE IF condition will only be executed if it’s previous IF or ELSE IF statement fails. OUTPUT 1: From the below screenshot you can observe that, We entered the my.marks = 562. 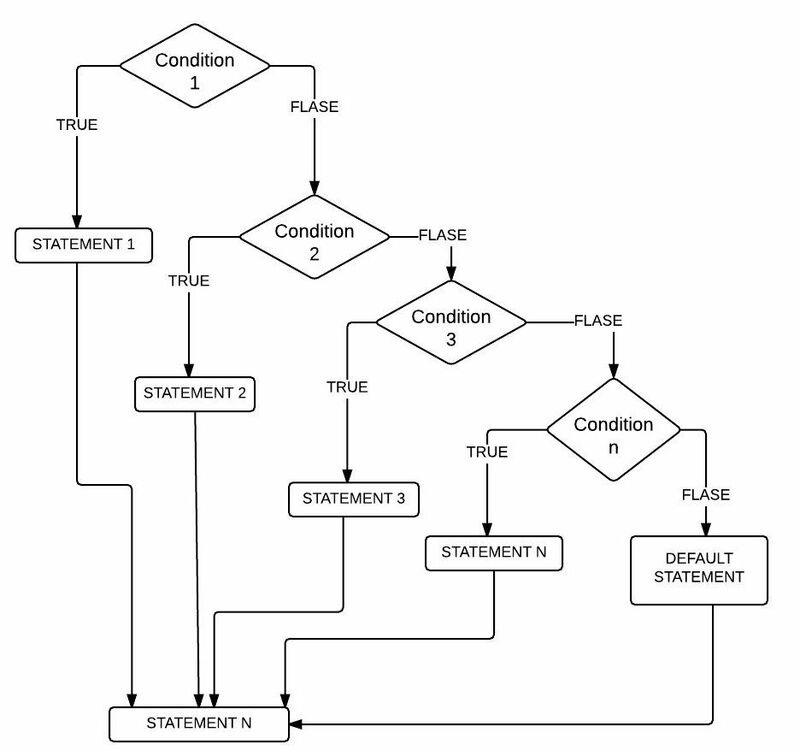 Here first If condition is TRUE so, statements inside the first If block will be executed. OUTPUT 2: Here, we enter my.marks = 510 means first If statement in R Else If program is FALSE. It will check the else if (my.marks >= 490), which is TRUE so it will print the statements within this block. Although else if (my.marks >= 400) condition is TRUE, but it won’t check this condition. 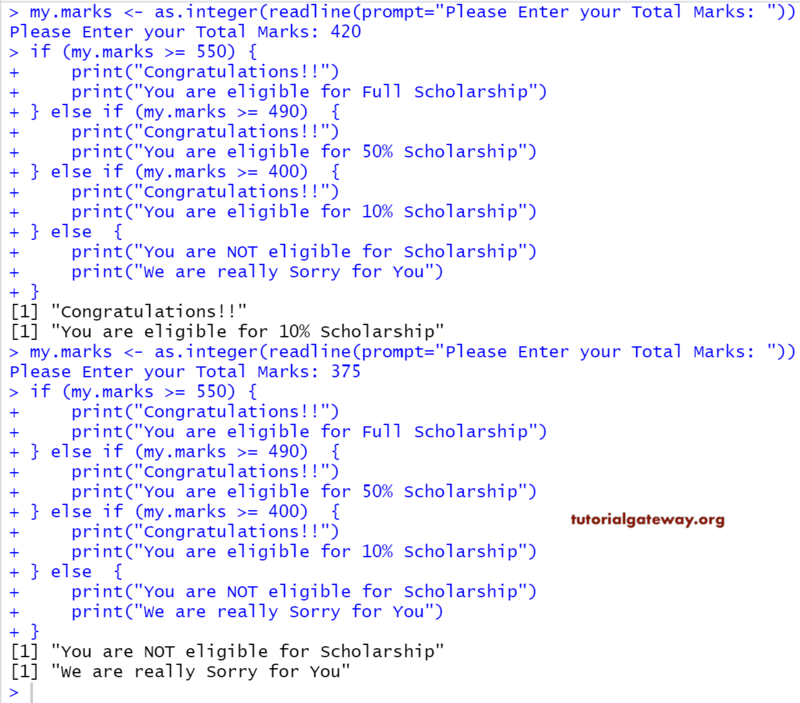 OUTPUT 3: We are going to enter my.marks = 420 means first two statements IF condition, else if (my.marks >= 490) are FALSE. So, It will check the else if (my.marks >= 400), which is TRUE so it will print statements inside this block. OUTPUT 4: This time we enter my.marks = 375 means all the If & Else If conditions Fail. So, It will print the statements within the else block.